Father and son pairs participated in baseball's first "Father/Son Camp" to practice drills and tour athletic facilities. The Lions baseball team offered its first “Father/Son Camp” to help build relationships between fathers and sons on and off the field. 30 father and son pairs signed up to learn more about baseball techniques from university coaches on Nov. 19 at Alumni Field. 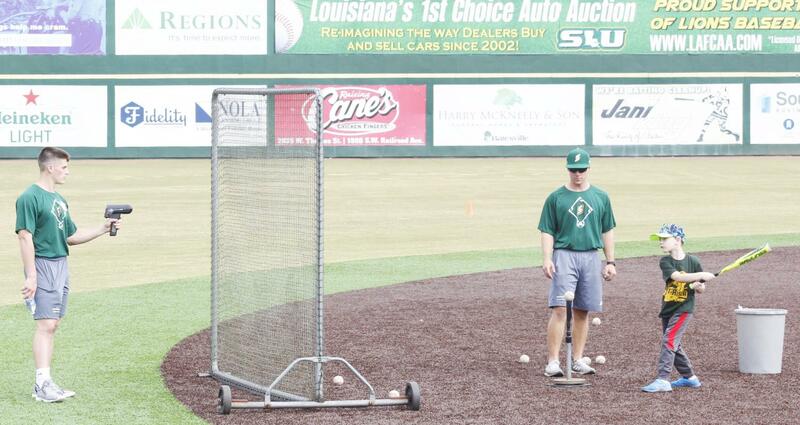 Baseball Head Coach Matt Riser explained why he decided to start the camp. Participants practiced baseball drills on the field and toured the athletic facilities such as the weight room. 2010 Alumnus Cole Catalano, who previously played on the baseball team, shared his thoughts on the camp.